Asghar Farhadi’s movie “A Separation” is morally complex without being morally murky. It’s a real achievement. The Iranian film “A Separation,” now playing in North American theaters, will most likely win this year’s Oscar for Best Foreign Film, and has already won the Golden Globe for Best Foreign Film as well as best film at the Berlin International Film Festival. 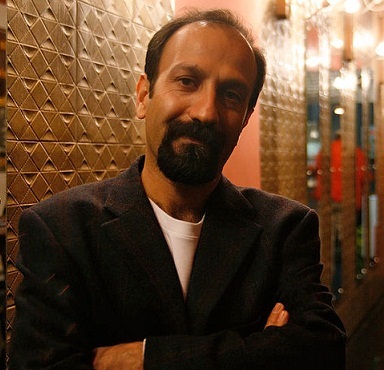 “A Separation” is writer and director Asghar Farhadi’s fifth film, and it’s the one that will establish him as one of the world’s most brilliant storytellers. The title ostensibly refers to an urban middle class couple who have separated from each other; English teacher Simin has gotten a visa to emigrate to the West, but her husband Nader, who works in a bank, refuses to leave his father who has Alzheimer’s. They have an 11-year-old daughter Termeh (played by the director’s daughter) who doesn’t want her parents to leave each other, and so chooses to stay with her father, knowing that Simin won’t leave Iran without her. But the title also refers to the rural-urban, traditional-modern, moral-utilitarian divides that coalesce to form the main conflict in this movie. After Simin leaves to live with her parents, Nader hires a villager named Razieh to look after his father. Looking after a male patient with dementia is too much for the pregnant Razieh, who must commute three hours to work. When Nader’s father soils his pants, the profoundly pious Razieh has a crisis of faith, and seeks religious counsel to see if God will permit her to change the poor man’s pants. She’s underpaid and exhausted, but ultimately she’s bound to the family’s misfortunes by her own: her husband has lost his job as a cobbler, has to take medication for the consequent depression, and is in and out of debtors’ prison. One day, Nader returns home to find Razieh absent and his father tied to the bed, and he becomes so distraught and angry that he fires Razieh by pushing her out the door. Then Nader and Simin find themselves in a hospital where they learn that Razieh has had a miscarriage. The two families entangle themselves in a legal fight to determine who was culpable for Razieh’s miscarriage, and in the process dig themselves deeper and deeper into a moral conundrum. Farhadi manages several neat tricks with this movie. “A Separation” is morally complex without being morally confusing, is dramatically tense and emotionally powerful without being melodramatic and emotionally overwhelming, and is sympathetic to all characters and viewpoints while affirming the power of truth and love. Farhadi accomplishes this by building strong contrasts and comparisons between the three sets of characters. There’s the two wives Simin and Razieh, while standing with their husbands and across from each other, nevertheless are devout to the “truth” (Simin to a modern and metaphysical “truth,” Razieh to the Koran), and thus stood together throughout the film. Then there’s the two families’ daughters who live in different worlds. One scene in a court of law outside the judge’s chambers captures how irreconcilable this chasm really is: While waiting for their parents, Termeh is pre-occupied studying for her final exams with the help of her grandmother, while Razieh’s 6-year-old daughter looks on with sad bright eyes, having never been inside a classroom and knowing she’ll never get into one. But despite their differences they’re both united by a child-like attachment to what is right, what is fair, and what is true – an innocence that makes them equally suffer as the film sinks into its moral murkiness. What ultimately drives the plot of the film is the conflict between the two husbands, who are tragically alike. Razieh’s husband Hodjat is consumed with anger at his poverty and powerlessness, and he becomes more volatile and violent as he seeks justice for his wife and his unborn child, but feels helpless against a modern middle class urban society that seems to have united against his family. Simin’s husband Nader is consumed by pride, which ironically makes this secular man a fanatic, as he seeks to prove his innocence, even if he has to lie, conspire, and abandon his wife to do so. Besides using vivid characterization, Farhadi also manages to balance the complexity, contradictions, and conflicts by filming minimally in interiors. Every scene is either shot inside an apartment or a hospital or a court or a school or a car. He doesn’t use wide angles to allow the audience to breathe a bit, nor does he attempt to control mood with music, color, and lighting. But the film’s claustrophobia works to the story’s advantage, magnifying and reflecting the tension and the anxiety in the characters themselves. What ultimately makes this movie work so well then are the individual performances of all the actors. In his book The Ends of the Earth, Robert Kaplan argues that Westerners have a misconception of Iranians as cold and aloof Muslims, while in reality they’re poetic and passionate Persians – which is perhaps why they often make such gifted actors. Termeh’s facial response powerfully captures so many hues and shades: It’s at the same time loud and numb, stunned and aware, hurt and empowered. That one-second facial expression, caught between crying and laughing, reveals that if no one else has changed, she at least has. And she now knows that no matter how much she loves her father he’s lost to her and to himself. “A Separation” is a bold masterpiece of Iranian film-making. Go see it at a theater, and be overwhelmed by its artistic and moral genius. Jiang Xueqin also blogs at China Power. Argo took the best picture award, while Ang Lee was awarded best director at the 85th Academy Awards last night. Buzkashi Boys Afghan Star Heads to the Oscars Argo, F**k Yourself: Iran and the OscarsGold Statue PowerWhat a US-Iran War Means for Afghanistan and UzbekistanWhat Does Iran Really Think of China?